but most store bought cookies are filled with not-so-good for you ingredients like trans-fats, processed sugars and artificial flavoring. 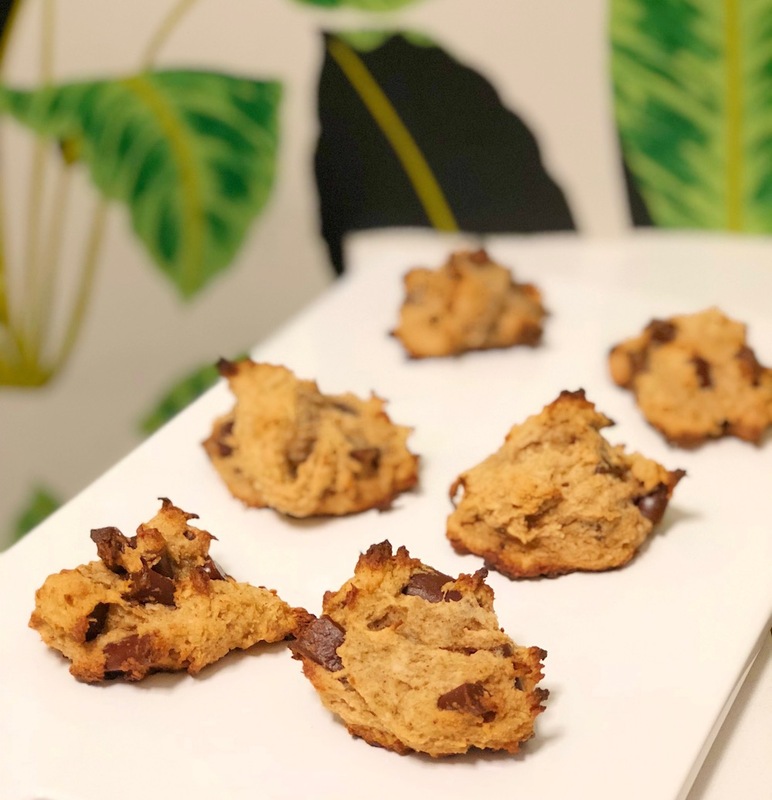 A little indulgence here and there doesn’t hurt, but my health-ified version of Chocolate Chip Cookies will really satisfy your sweet tooth, and leave you feeling good after. And even better, this recipe is gluten-free, vegan, AND has no added sugar which means they can be enjoyed by almost anyone! I’ve been using tigernut flour in a lot of my dessert recipes lately. I love it because it is super high in fiber, and lower in fat when you compare it to many other gluten free flours. I used a bit of un-sweetened shredded coconut, and a mashed banana for some added sweetness and flavor. After these cookies baked, they are HUGE, thats why I’m calling them Colossal Vegan Chocolate Chip Cookies! Preheat the oven to 400 degrees, F and grease a cookie sheet with coconut oil. Melt the coconut oil and almond butter (I do it together in a little bowl in the microwave for about 20 seconds). Set aside. In a mixing bowl, combine the mashed banana, tiger nut flour, coconut, vanilla extract, salt and pumpkin pie spice, and melted coconut oil and almond butter- mix together until a dough forms (if the dough is too wet add a little more coconut). Fold in the chocolate chips until homogenous (or so). Form the cookies into balls (or blobs) using a tablespoon. Bake the cookies for 10-12 minutes or until lightly browned. Set aside to cool and then serve and enjoy! Want more healthy desserts to satisfy your sweet tooth? Be sure to Click HERE!